Welcome to a studio of originally designed and handwoven clothing and accessories. Please feel free to browse this site and contact me with any questions or possibilities. 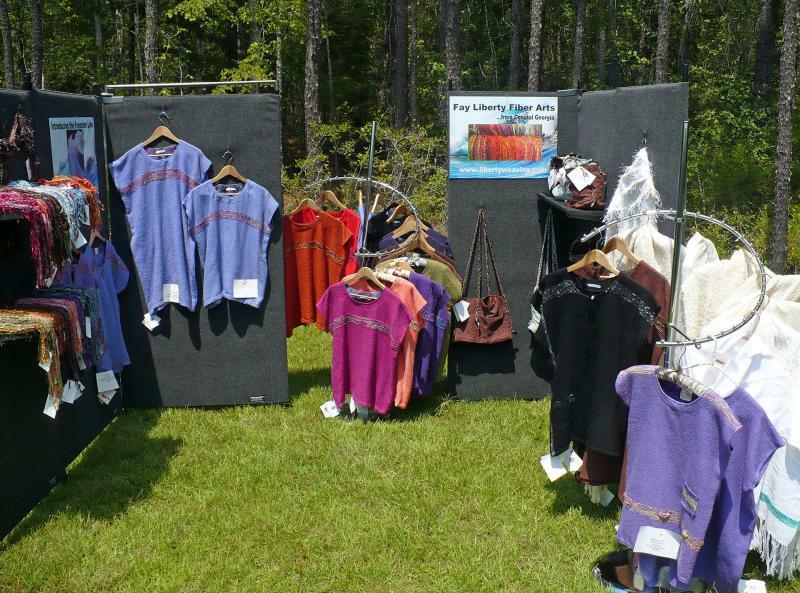 The focus of this studio, Fay Liberty Fiber Arts, is original and handwoven lightweight apparel and accessories from quality materials. Please use the contact form to ask questions or to purchase. No prices are posted here: if you are an interested purchaser, please contact me for my artisan to purchaser pricing table. 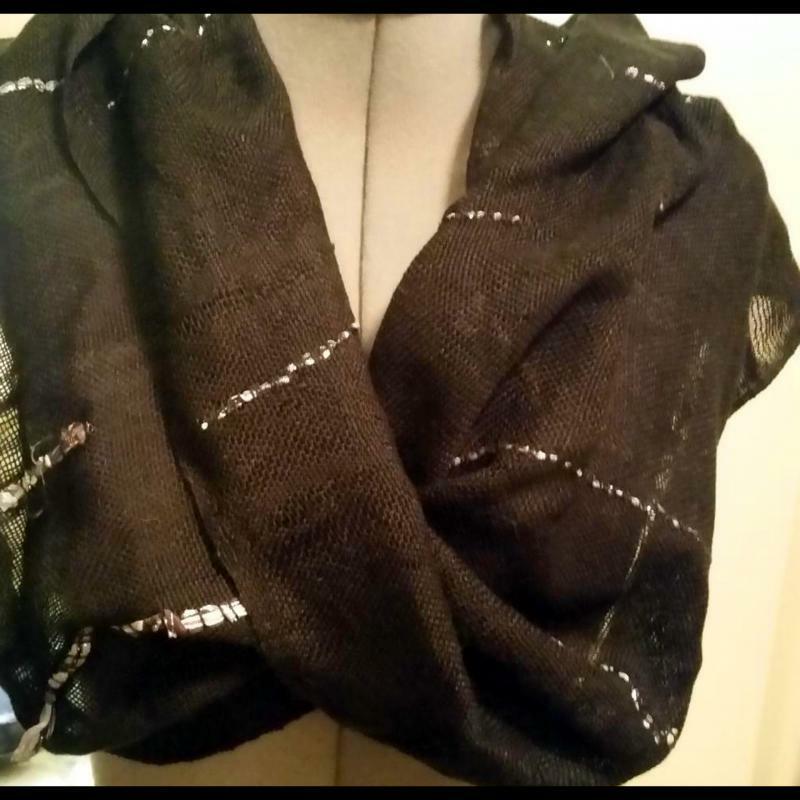 The Mobius Hug Shawl--Originally designed for women who need a hug, who doesn't? The original inspiration was a breast cancer survivor because she remembers fondly the swaddling after surgery. Also, if you have implants, they should keep you a little warmer. They are made of tencel, which is from trees. Hey, are you a tree hugger? I could go on.... Here is one. I have done Spice, Wine, Major Minor, and many more colors, including greens, to come. Stay tuned!